Sailing in from the Bahamas today [Mar.20], the Norwegian Tall Ship S/S Sørlandet out of Kristiansand, Norway is currently tied alongside No 1 Wharf in Hamilton. Sørlandet was built in 1927 at Høivolds Mek, and set sail on her maiden voyage to Oslo in 1927. Originally built without an engine, the engine and propeller were installed in 1958. 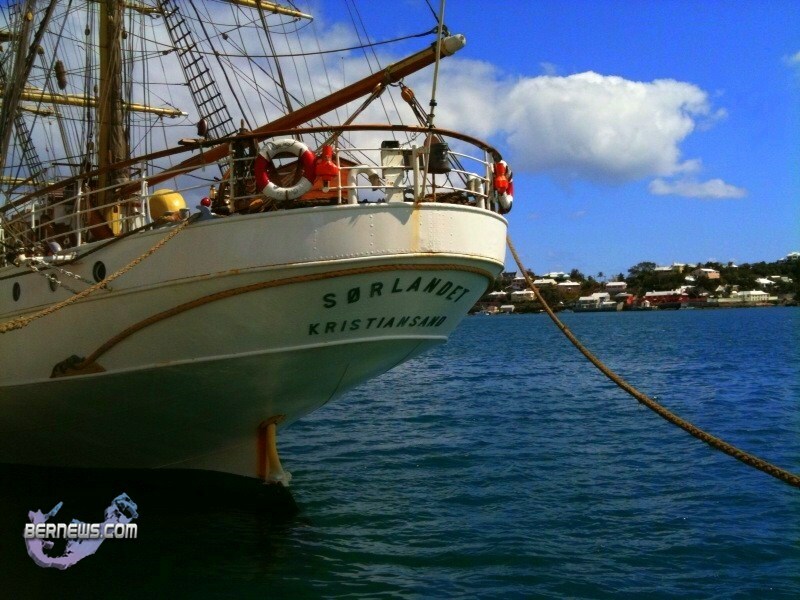 Like Bermuda’s “Spirit of Bermuda” the Sørlandet is a training ship, but one that goes on months long voyages with its crew of students. 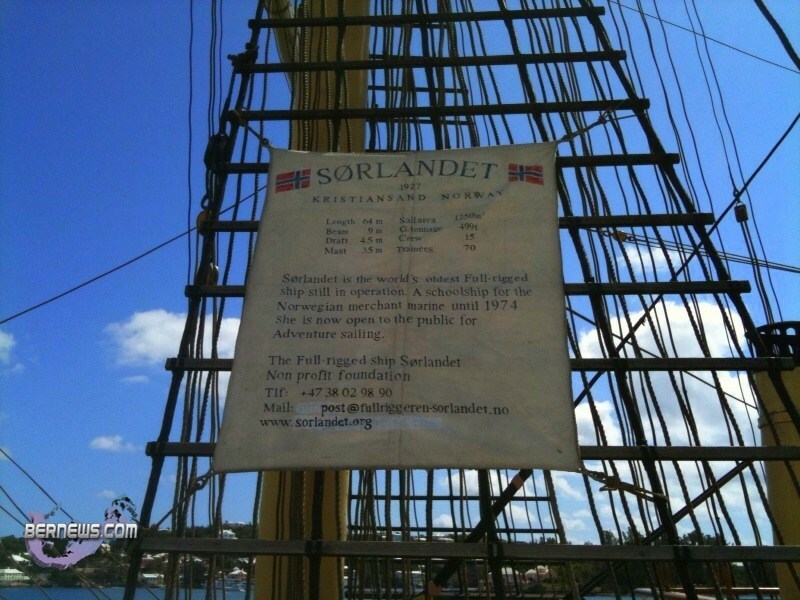 On this voyage, S/S Sørlandet set sail from Kristiansand and sailed to Bermuda via Stornoway,Scotlant; Belfast, Northern Ireland;Falmouth, UK; Brest, France; Porto, Portugal; Cadiz, Barcelona, and Majorca, Spain; Agadir, Morocco’ Las Palmas, Canary Islands; Dakar, Senegal; Fernando and Belem, Brazil; St George’s,Grenada; Bequia, Grenadines; Dominica and Dominican Republic. From Bermuda, S/S Sorlandet will sail to the Azores and then Malta. Sørlandet sails under the aegis of West Island College International and is a school afloat with male and female students who learn seamanship as well as studying a range of academic subjects. This school afloat caters to 11th and 12th grade and first year university students. Studies are authorized by the Nova Scotia Ministry of Education and are sanctioned by the Quebec Ministry of Education and Acadia University. The classes cater to students from all round the world. According to their website, during their stay in Bermuda the students will learn how to make Bermuda Kites, as well as go on a nature walk through Tom Moore’s jungle while learning about eco-psychology. 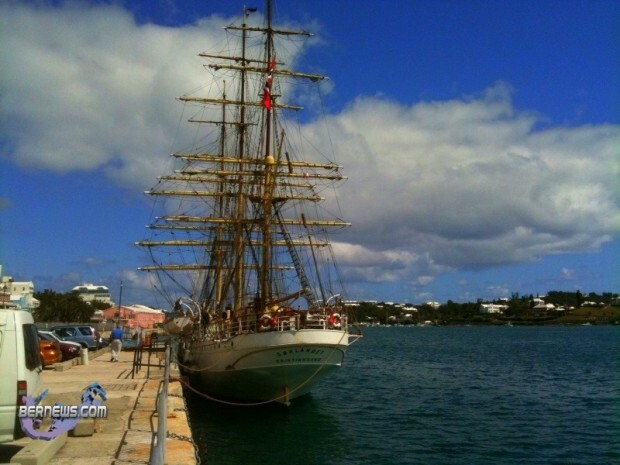 WELCOME TO BERMUDA ENJOY ITS GREAT WEATHER HERE NOT ALWAY THIS TIME OF YEAR!!!!! !